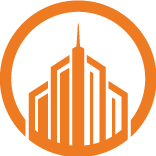 Our Client is a premier investment management and development firm dedicated to redefining urban living. Focused on developing multifamily and mixed use projects in high-growth markets in the Western United States, the company has generated more than $4 billion in urban investment across more than 90 projects and has over 5000 units under management. We are seeking a Construction Manager, for the Los Angeles market, with duties to include helping with general contractor screening processes, supporting development teams in selection of design, engineering, and specialty consultants, maintaining daily oversight of construction activities, controlling and maintaining project documentation though change management, submittals and RFI processes. Applicants must have 10 years of multi-family construction experience and must have worked on podium and or wrap projects, 100 units or more.